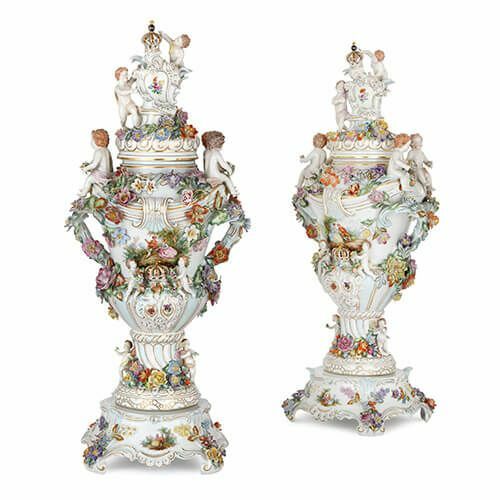 These large, floral-themed Dresden porcelain vases are joyful pieces of design, intended to make a confident statement in an interior setting. 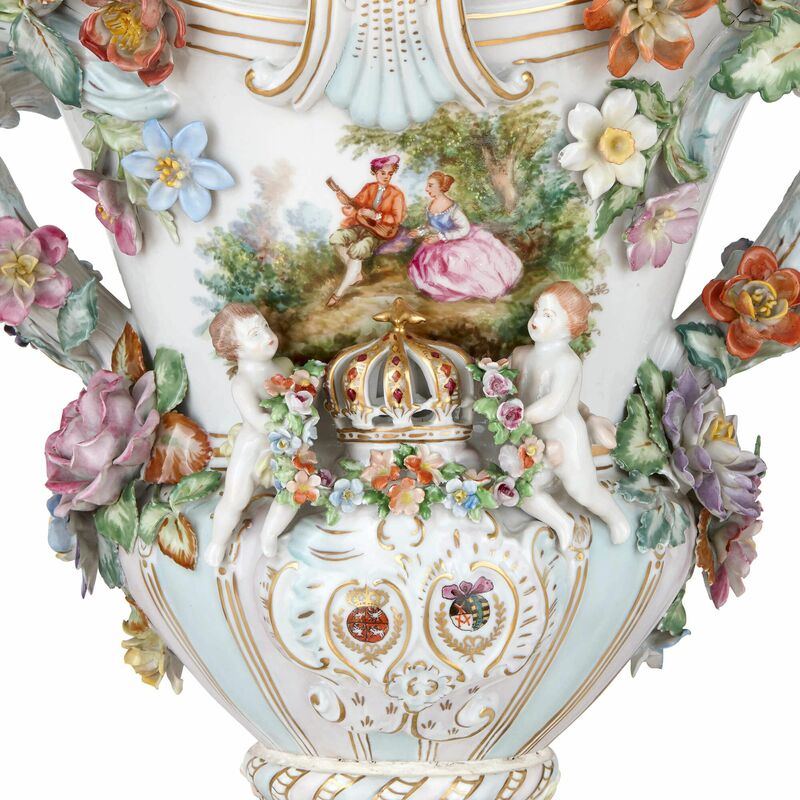 Every element of these Dresden porcelain vases is beautifully rendered in fine porcelain, to give an overall effect of lively springtime cheer. The vases are set on base supports, from which they can be removed, and also have removable covers. 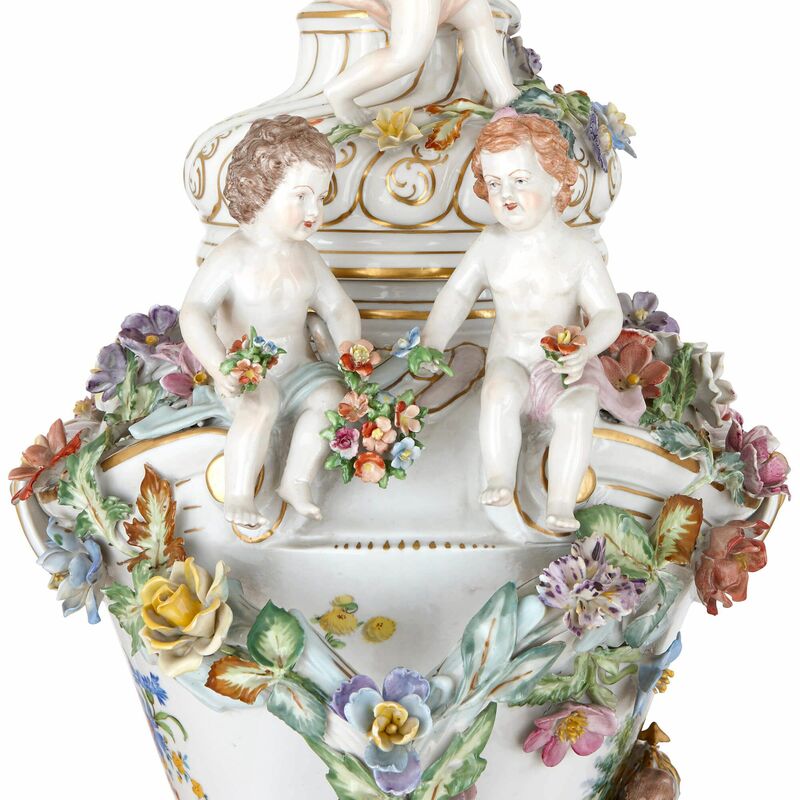 The main body of the vases feature applied floral decorations, as well as finely-modelled putti. 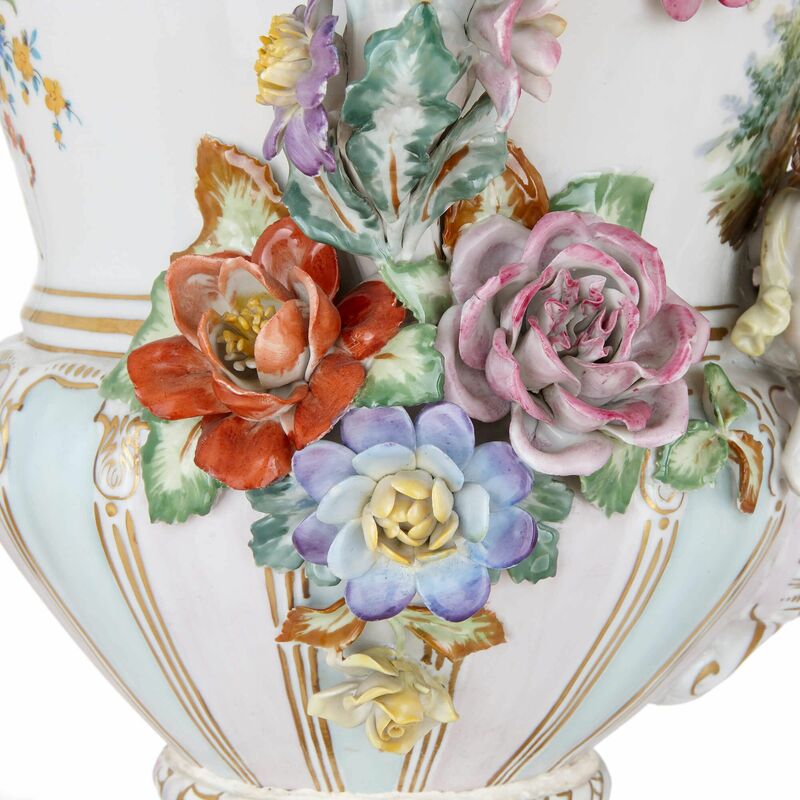 The vivacious hues of the flowers - including reds, lilacs and turquoises - are emphasised by the blue and white ground of the vases' bodies, which also feature subtly-gilded elements. Each vase has twin handles, at the top of which sit two putti holding flowers. 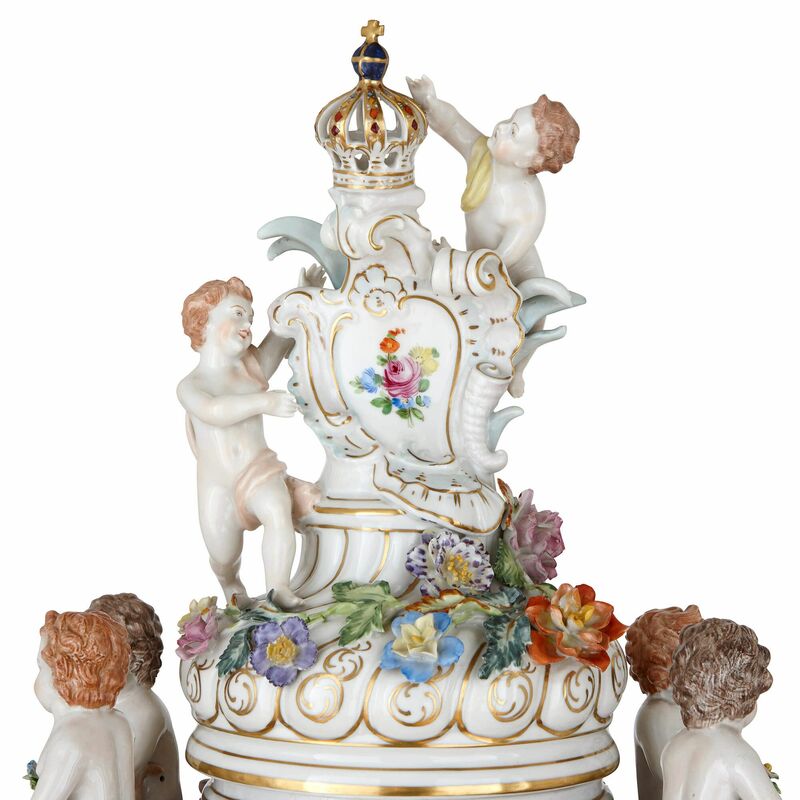 There are further putti modelled below, shown sitting either side of a gilded crown; and there are also two putti shown on the vases' covers, again reaching up towards a gilded crown. 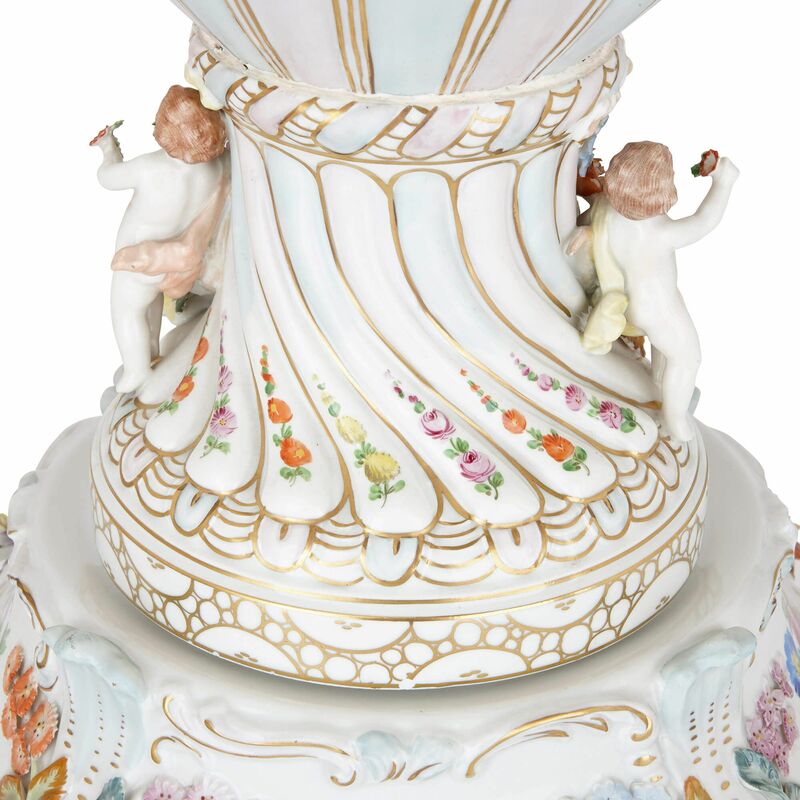 The body and base of each vase is also decorated with Rococo-style scenes of courting couples in a landscape, in the style of famed French Rococo painter Antoine Watteau (1684-1721). 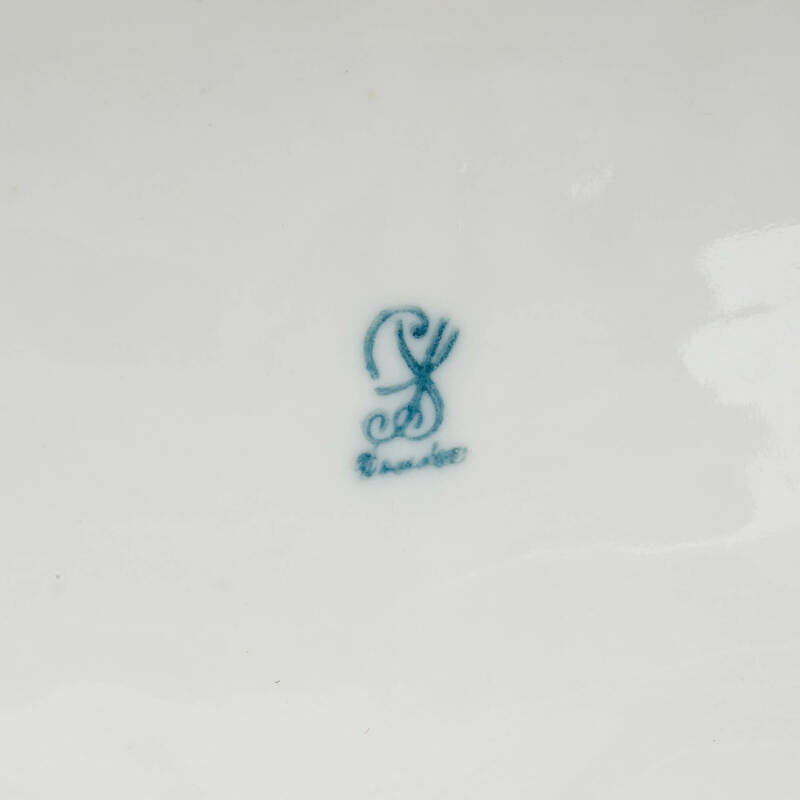 The vases both bear underglaze maker's marks for the Carl Thieme Porcelain Manufactory in Potschappel, Dresden, where they were made. The Thieme factory was perhaps the best-known producer of fine porcelain in Dresden in the late 19th Century, and were held in high esteem across the continent for their artful take on the 18th Century German Rococo. These vases would make an excellent set of four with this other pair, also produced by the Carl Thieme Manufactory.